Vesaro Formula body simulators. 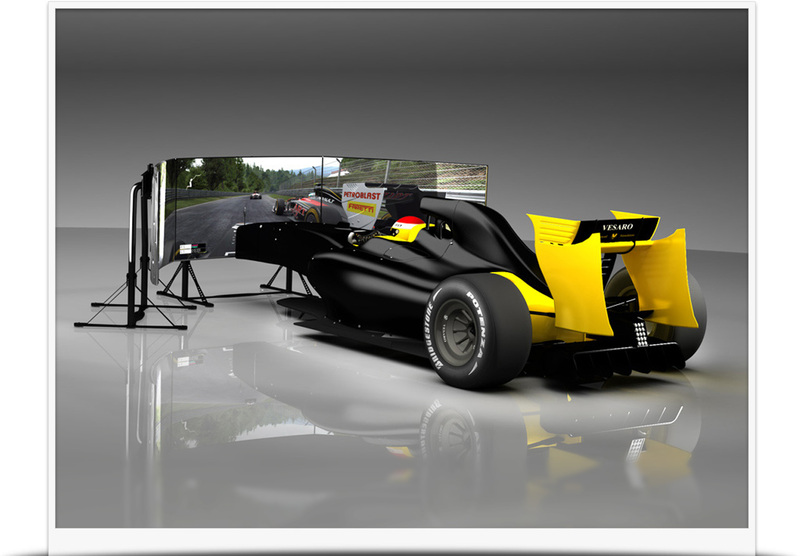 Simulators based on the formula one body style offering authentic formula one looks and seating experience. The simulators are fibreglass construction with a lightweight aluminium frame, carbon fibre base and carbon fibre bucket seat. Featuring dynamic suspension and support for DBOX motion technology. Browse these categories under "Vesaro Formula"